The MagDrill Disruptor 30 utilizes patented shallow-field magnetic technology that offers an incredibly strong grip, even on steel as thin as 1/8”. Also, the patent-pending base automatically pivots to conform to any pipe 3” or larger. A loss of power and the drill remains in place. Magswitch’s powerful ‘shallow-field’ technology allows the drill to hold strong on thick or thin steel (down to 11 gauge!). The patented pending base magnets swivel so it can be used on flat as well as curved surfaces without the need for expensive adapters! It can be used on 3” pipe and up, inside or outside the curve. 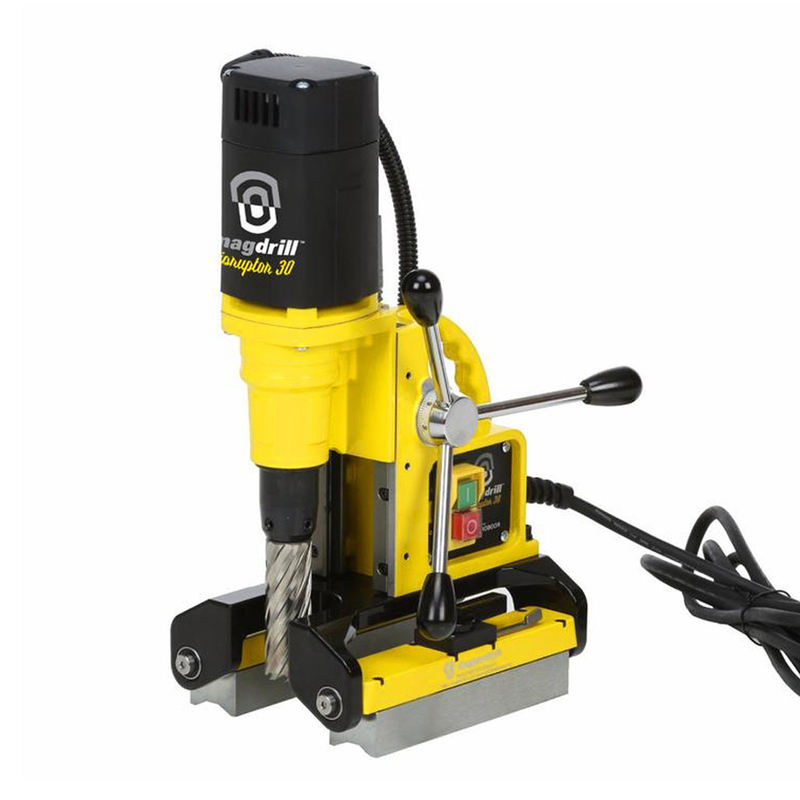 One magnet can be turned off and the other can still hold while pivoting the tool in place for cleaning and hole inspection without removing the drill.